For some time I wanted to create a gallery of characters with the insect motif. I was going to cover only comic book characters, but turns out that the first character in the list started in other media. The Green Hornet is a vigilante that fights crime by night accompanied by his loyal sidekick Kato in a high tech car named Black Beauty. His alter ego is Britt Reid, the wealthy publisher of the Daily Sentinel newspaper. The general public and the police perceives the vigilante as a criminal, which makes easier for him to infiltrate the underworld. He debuted on the radio in 1936. Between 1940 and 1941 appeared in two serial films. In 1940 he appeared in comics, jumping from one publisher to another, disappearing and reappearing years later. He is currenty licensed to Dynamite Entertainment. 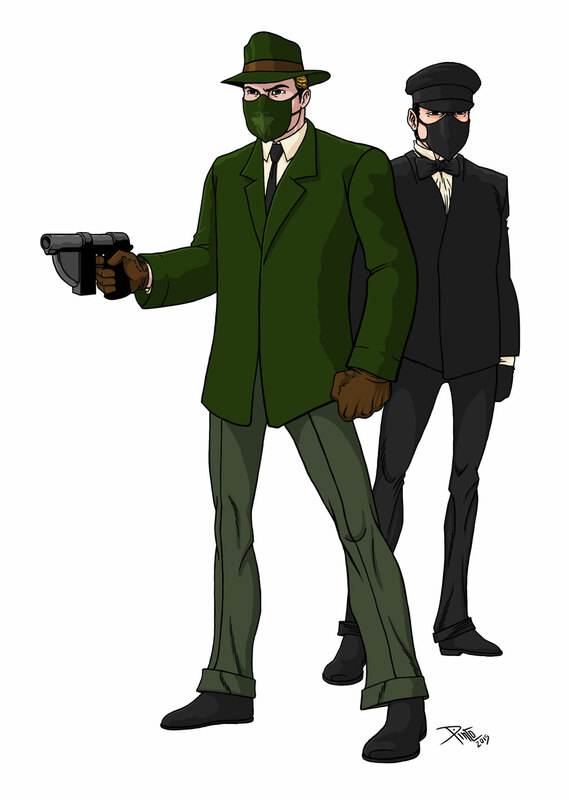 Between 1966 and 1967, Green Hornet appeared in a TV series that had even some cross-over episodes with the Batman series. In that series, Kato was played by Bruce Lee. In 2011, he appeared in a movie by Columbia Pictures. Seth Rogen was the Green Hornet and Jay Chou was Kato.